Halloween is quickly becoming one of my favorite holidays. I just love everything about the month of October. It's a busy month for our family. 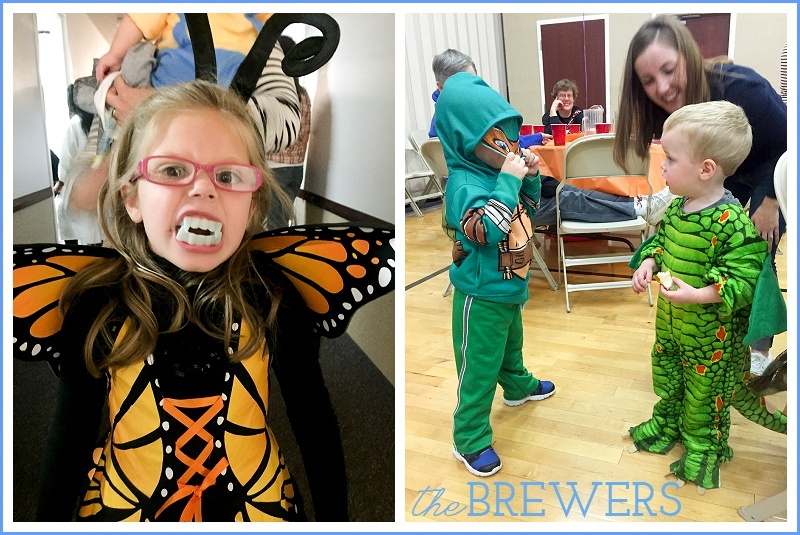 Between fall field trips, a visit to the pumpkin patch, carving pumpkins, the costumer parade at preschool, the Trunk or Treat, Halloween itself and of course mixed in with all of the fall fun is Autumn's birthday! 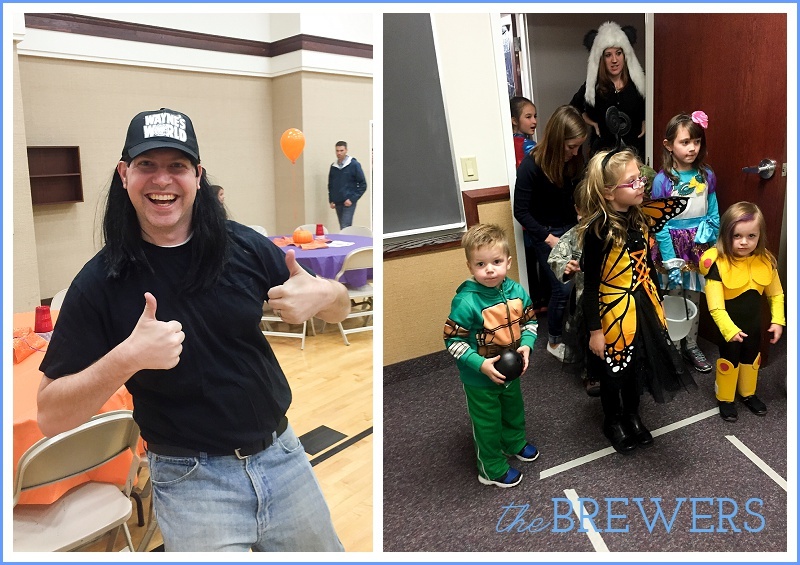 After Autumn's birthday and just before Halloween, our church held it's annual Trunk or Treat. 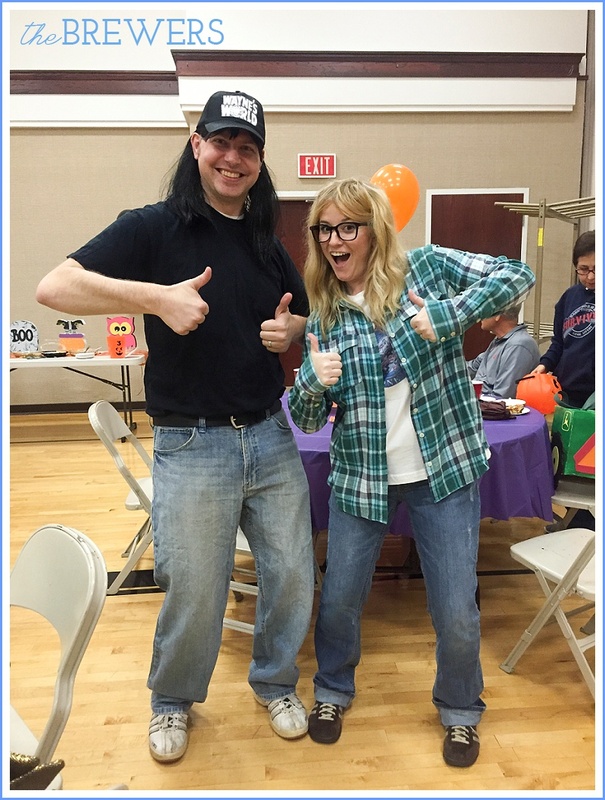 I tossed around a few ideas but decided to go with Wayne and Garth from Wayne's World. Adam is always such a good sport for whatever I decide. I loved Adam's costume. Everytime I looked at him, I just started laughing. 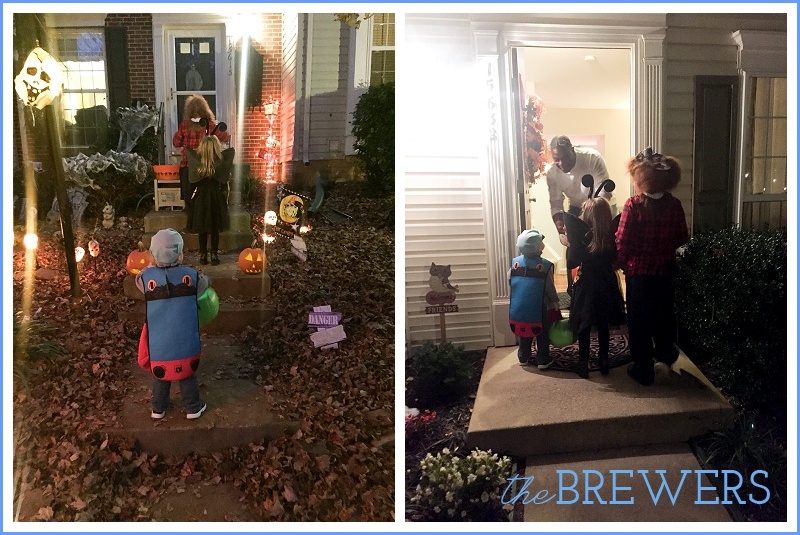 Our friends went above and beyond for their costumes. 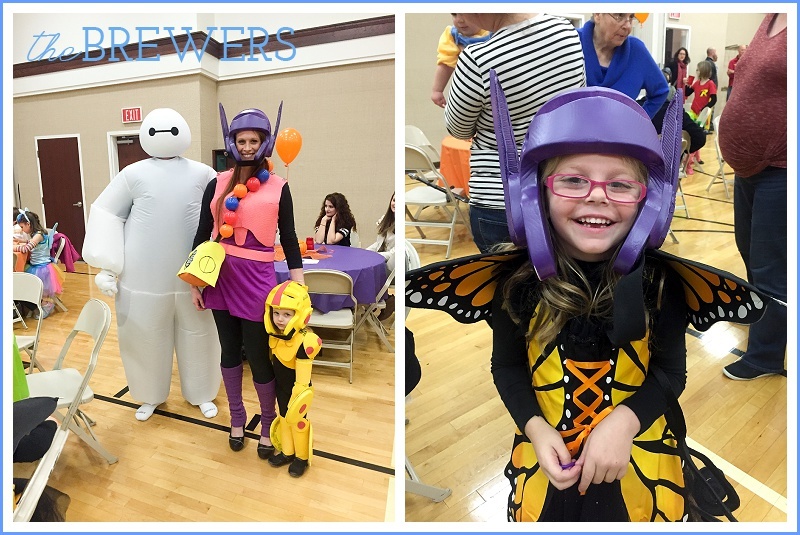 Handmade Big Hero 6 costumes. Brody loves the movie, and loves to fit bump and make the weird noise that Baymax does. It was SO cute to see Brody do it with Baymax. I wish I'd gotten it on tape! The preschool always puts on a "costume parade" in the fall just before Halloween. It's short and sweet, but always fun for the kids! Brody got lots of fun goodies and loved wearing yet another costume. 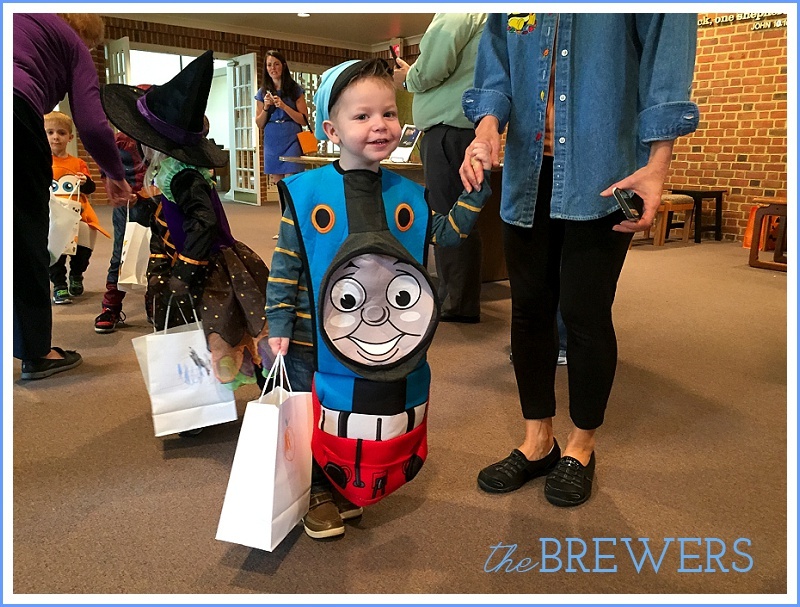 He had the hardest time choosing a costume this year that he wore a few, but ultimately got another years use of Thomas! 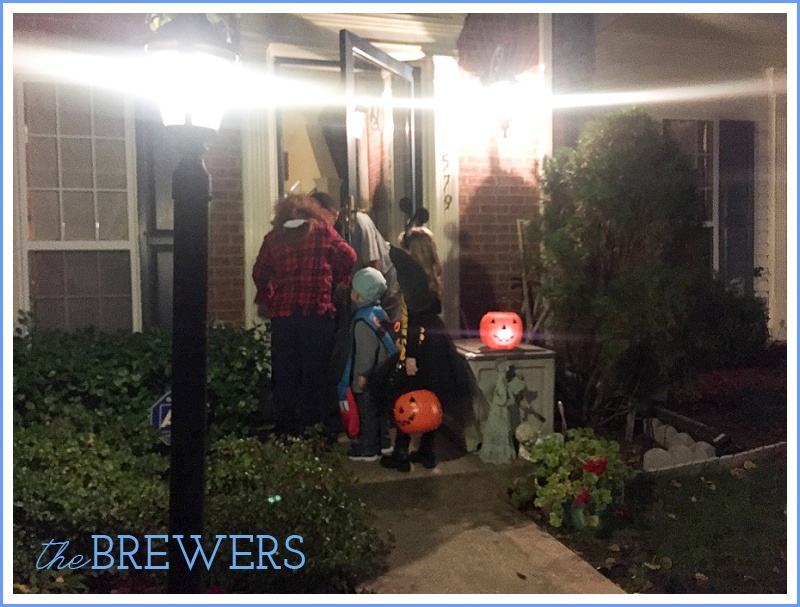 Since we moved here and Autumn was old enough for trick or treating, we began a tradition of trick or treating with my sister Jodi and her boys. Even though her boys have grown, we still carry on the tradition with pre-treating pizza and getting ready together. This year Anthony went out with us and he was such a big help getting Brody up and down the many steps to Jodi's neighbors. Autumn was very insistent she be a butterfly. 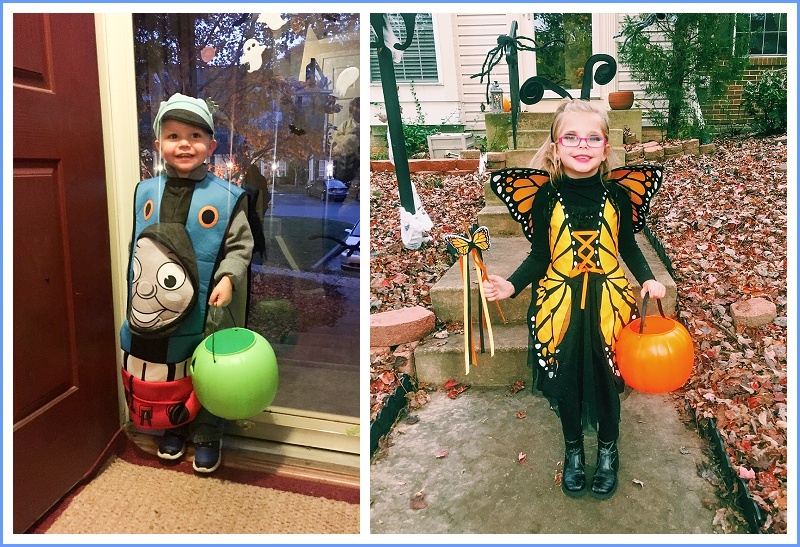 She became obsessed with them this year and I just loved her costume! We even did up her eye makeup very dark and she was so excited about the red lipstick! Brody was very into Halloween this year! There was no misunderstanding about what he was supposed to be doing. Trick or Treat! He exclaimed it so loud and clear at every door. He was game to go to as many houses as he could!